From relaying emotions to increasing the memorability, music can have a huge effect on your project. With experience in an ever growing list of genres I am able to create the right and most effective music for each setting and scene. Sound effects and ambiance can enliven your project and effectively pull the player or viewer into your world. Equipped with my field recorder, a grand collection of sound libraries, synthesizers and effects I can bring your project to life. While sound design brings your world to life, voice over brings your characters to life. Balancing the volume of each voice line and improving their quality are essential for a convincing performance. Quality control, consistency, scouting and instruction of audio personnel and asset list creation are all vital parts of an audio director’s job. I can use my years of experience of working with audio to help realize your project’s audio direction and make it the best it can be. Growing up, I was fascinated by how much music can amplify the emotional value or memorability of movie scenes or gameplay. That’s exactly what I want to achieve with my music. I see the pieces as individuals – and that’s why I put so much effort into every single one of them. 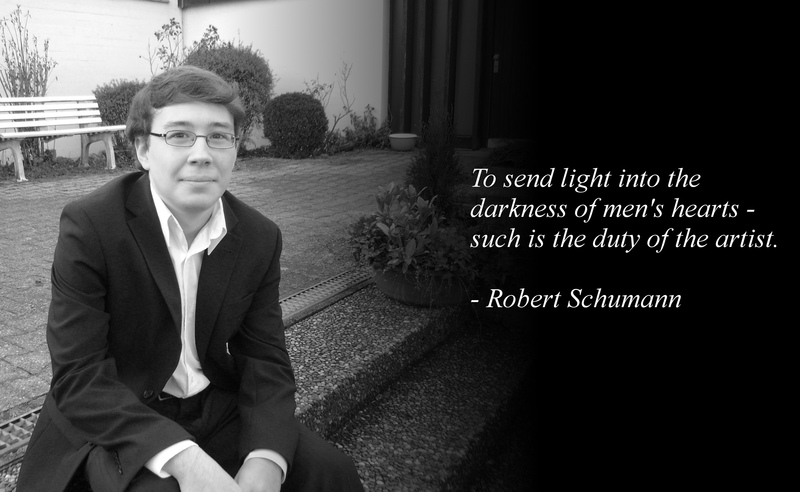 In the end, it is the urge to create atmospheres and emotions that makes me want to compose music. 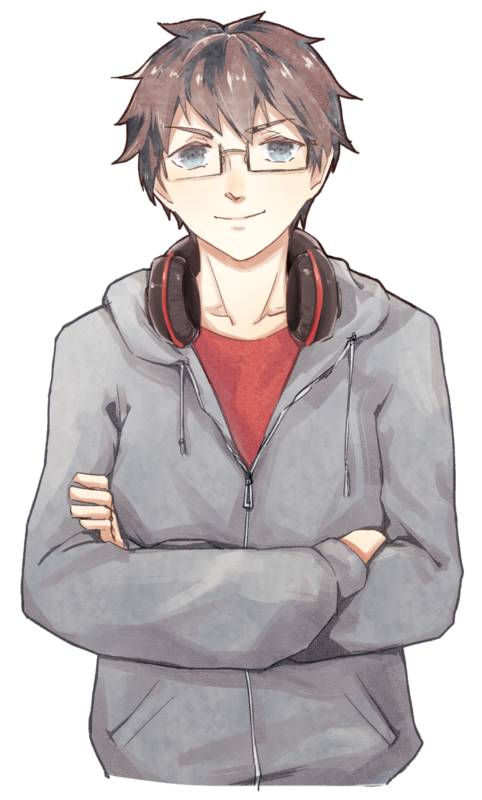 Since I love every musical genre – and because I’m always open to trying new things when composing privately – I can do just about everything; it doesn’t matter if the piece is Jazz, Electronic, Metal, Chiptune, Orchestral, Ambient… I’ve probably tried my hand in it at least once! This means that I can not only make something for every genre, but also use that genre’s strengths no matter what the scene is – whether action-packed, emotional, or tense. 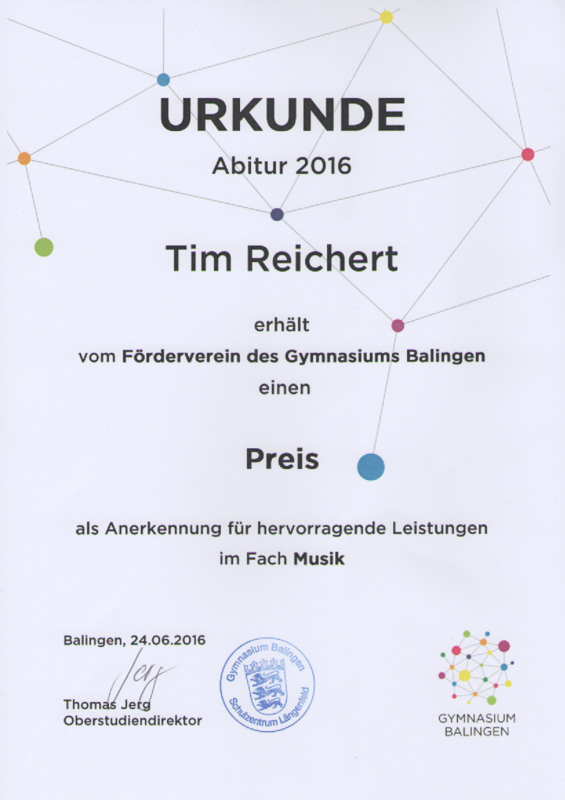 Abitur (higher education entrance qualification) at Gymnasium Balingen with an award for outstanding achievements in music. 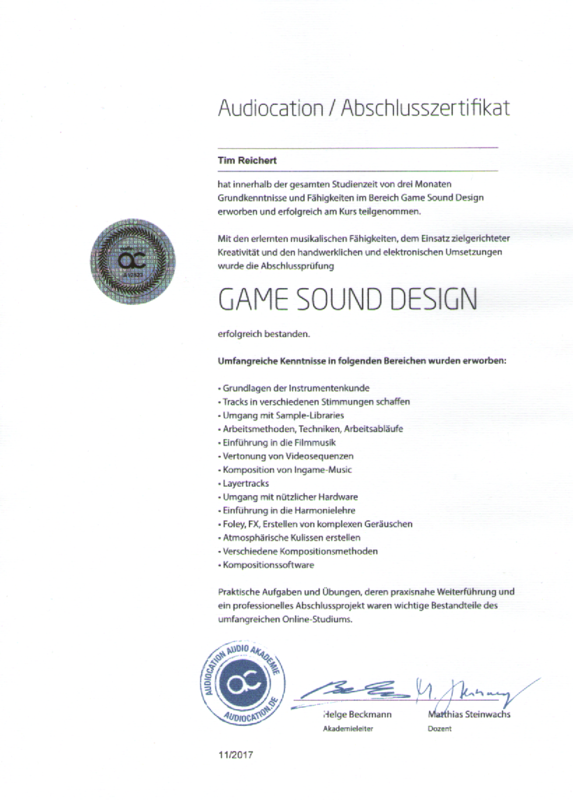 Successful graduation from AudioCation’s Game Sound Design course. Internship at David Klavins’ “Klavier-Klinik”, the piano builder behind “The Giant” (Klavins Piano Model 370i) and the Una Corda. Internship at “jam Club”, an independent music school. 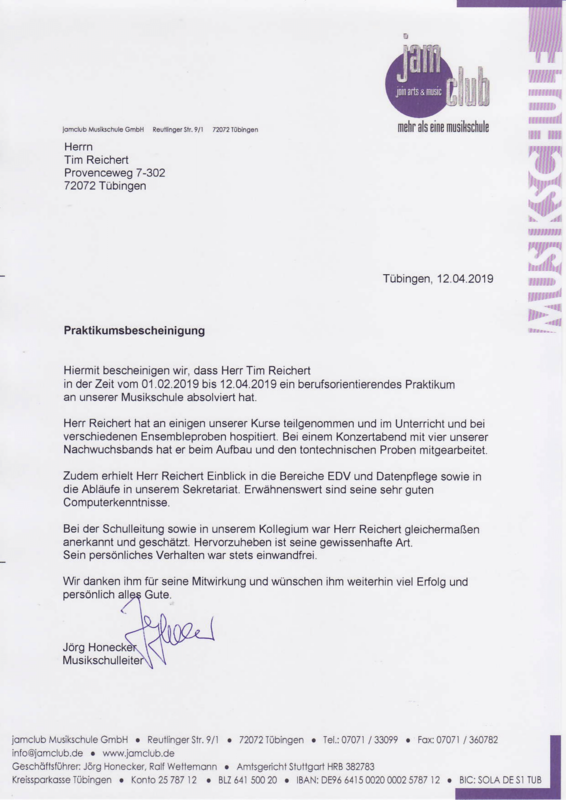 Current studies in musicology at the Eberhard Karls University Tübingen. Experience in the use of FMOD and Wwise. Experience in the use of common DAWs (Cubase being the main one, FLStudio and Ableton being the secondary and tertiary ones). female singers, trumpeters, violinists, french horn players, etc. ), as well as ensembles. 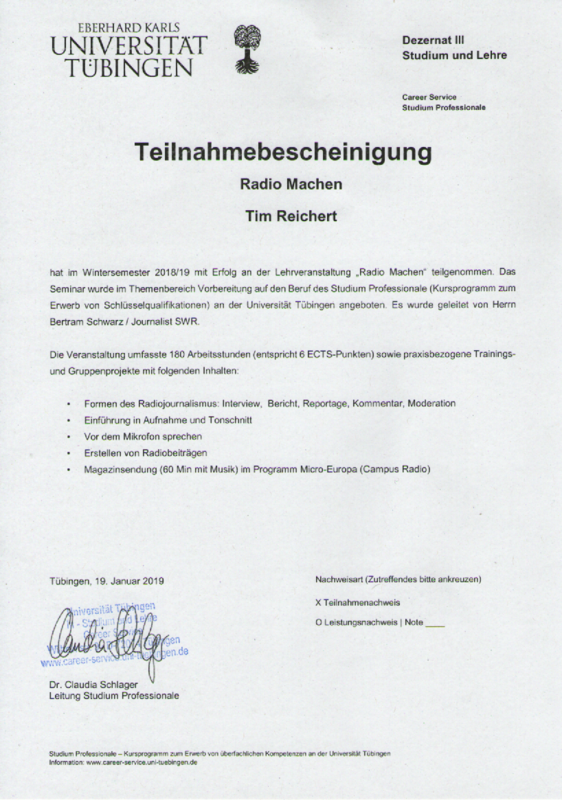 Successful completion of the university course “Radio Machen” (English: Making Radio). Voluntary member of a brass choir for over 10 years (concerts, serenades for the elderly and at wedding anniversaries, accompaniment to funerals). 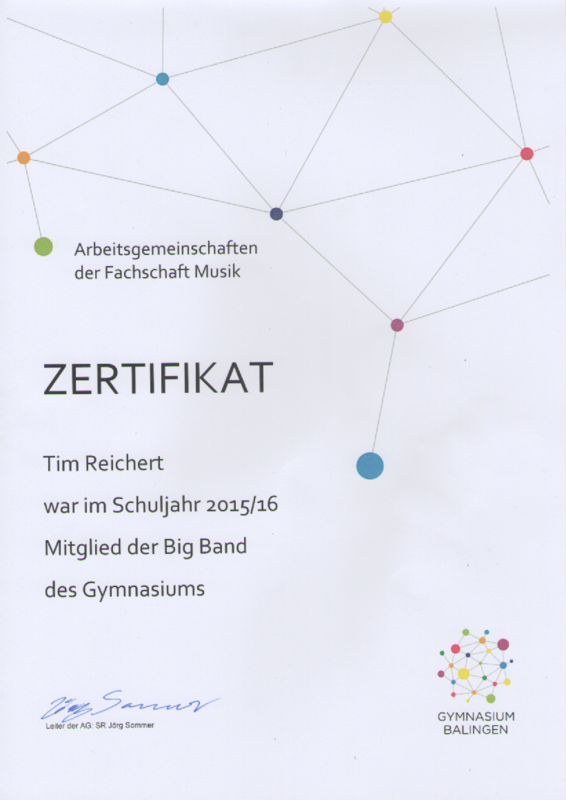 Former member of a school big band. 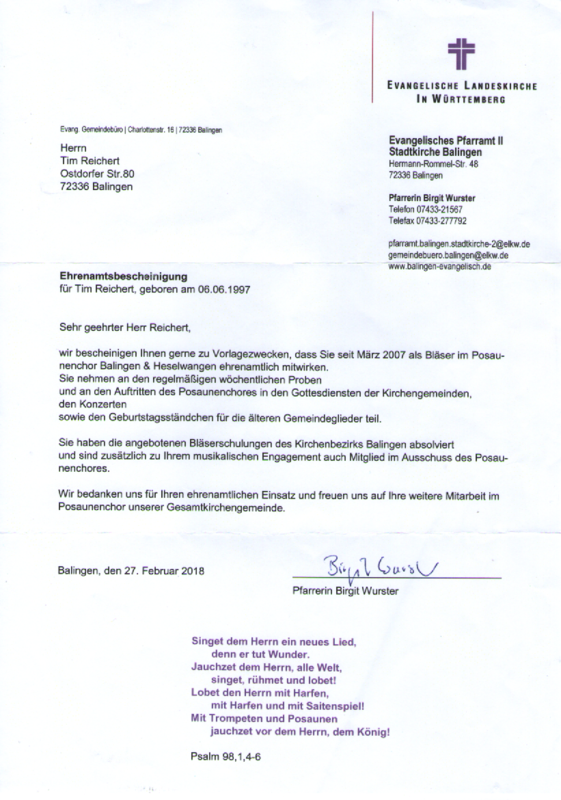 Independent planning and performance of an original musical theater called “Die Suche nach dem Jam” (English: “The hunt for the jam”) with a colleague. Please contact me if you’d like to work with me or if you have any questions!